Antoinette is an inspiring speaker on many topics related to developing leaders in organisations. Antoinette informs and entertains with her presentations. Her goal is to make the event memorable, and to make sure it makes a difference. She wants attendees to go away with practical ideas and strategies that they are inspired to put into action. Her talks are aimed at CEOs, senior leaders and HR professionals. Antoinette has over 25 years experience getting business results through the development of leaders for companies such as P&G, Accenture, Avanade and XL Insurance. 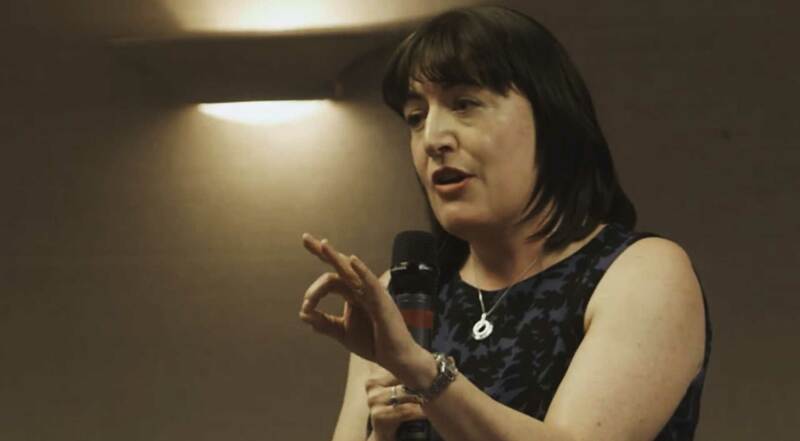 She is a Fellow of the Chartered Institute of Personnel and Development (CIPD), an Associate of the Association for Coaching and a member of the Professional Speakers Association. She is regularly invited to be a speaker and chair at HR and business events around the world. Antoinette is the author of Grow Your Geeks – A Handbook for Developing Leaders in High-Tech Organisations. She believes an organisation’s success lies in connecting the ambitions of its employees with the commercial needs of the organisation. Her mission is to help companies realise the leadership potential of their people so together they can create an amazing future. In this practical and interactive session, Antoinette explores the strategic role of career development within an organisation. She shares key insights into who is responsible for developing employees’ careers and highlights the tools available for managers and employees to put career development into practice. Mentoring is one of the top strategies for career development and advancement within an organisation. It is also a critical support for people making career changes and transitions. In this talk, Antoinette explores the strategic role of mentoring in developing leaders. She outlines the steps needed to make it work in practice and the guidance and support that individuals need. Empowering employees to take ownership for their career is a crucial part of developing leaders. Good career management drives engagement (and performance); poor career management breeds dissatisfaction. In this talk Antoinette shares insights on why employees need to not look to their managers for all the answers. She will highlight the typical approaches organisations take and why they don’t work. She will provide practical guidance on how to structure career conversations so that employees feel more empowered. "Antoinette has been a delight to work with and has added real value to HR Vision. When you run a premium event the quality of the chairing is crucial - and she has been exactly what we hoped she would be." "Antoinette is an outstanding industry expert with extensive knowledge and understanding of the HR sector. Not only has Antoinette helped shape our programmes & agendas for our international HR conferences, she has also successfully chaired a number of them over the years. Antoinette is a natural communicator with excellent interpersonal skills and always receives the highest ratings from our conferences delegates from around the world." "Antoinette delivered an engaging and interesting presentation at a market event that I organised on managing talented people in the workplace. She is professional, reliable and a delight to work with. She has an amazing ability to communicate effectively with a broad range of people". "Antoinette has worked with us on a number of HR Vision events, both in a chairing and facilitation role, and helping to co-create the agenda in an advisory role. Her knowledge and expertise in the Talent, Leadership and HR space is invaluable."